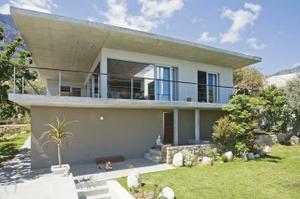 Modern and minimalistic home situated in Vredehoek, Cape Town. Clean lines, refined details and honest material choices make this open plan home a sophisticated yet comfortable place to retreat and recharge. 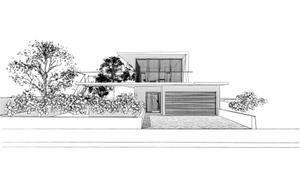 Concept design and design development for double dwelling in Noordhoek, Cape Town. Low profile bungalow volumes with private courtyards and terraces placed on open farmland adjacent to existing dwelling. Spaces between strong, continuous wall segments are filled with glazed fronts or slatted timber screens to create external spaces with privacy and light. 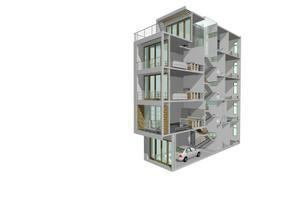 Redevelopment of commercial property to two upmarket residential units in the Cape Town CBD. 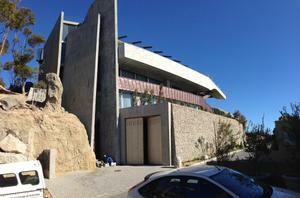 Guesthouse project in Table View, Cape Town. New structure on a virgin site in the suburban fabric of Flamingo Vlei. 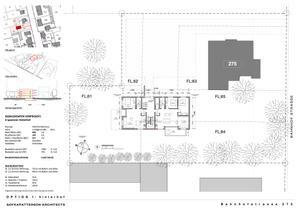 The proposed building concept allows for usage as guest house or spacious single residential dwelling. 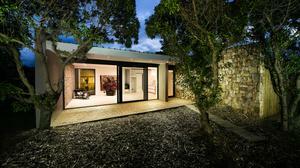 Open plan living spaces flow into a large wind protected courtyard while the sleeping areas are orientated towards the privacy of the leafy back garden. 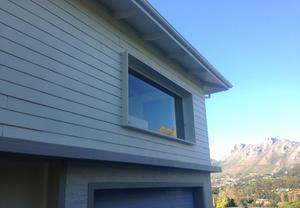 The double story frontage provides views of table mountain and generates identity in the flat topography of the suburb. Building plans approved, construction pending. 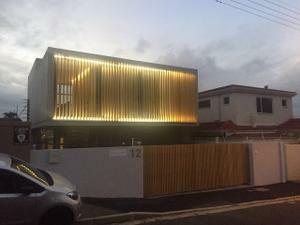 Complete transformation of a neglected ugly duckling in a slick and contemporary home with minimal budget and resources. 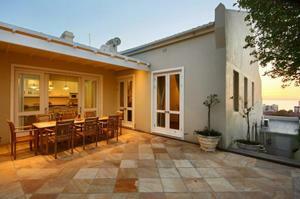 Total refurbishment and extension of a typical Vredehoek Villa. 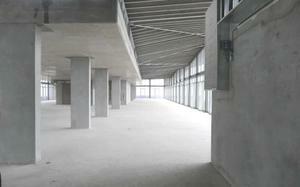 Of the badly neglected existing building only the basic structural shell could be maintained. A new, modern roof, carefully integrated in the local architectural language provides ample first floor space. 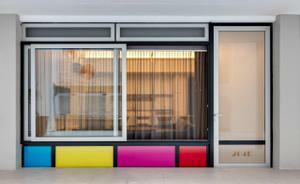 The closed cell structure of the building was updated to a generous open plan space with a separate garden flatlet. 24 up-market apartments and commercial units for developer. Adderley Street, Cape Town, South Africa. 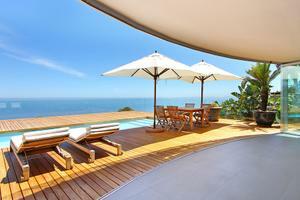 http://www.thecolosseum.co.za/405/index.html - copy/paste link for virtual tour. Designed in the Art Deco style, The Colosseum was built in the 1930’s. At that time it was one of Cape Town’s first cinematic theatres and one of the only mixed use theatres in South Africa to include apartments above. The building was recently transformed into a mixed use apartment block. Each unit is different and is designed to a high standard of finishes. Each apartment was individually designed to provide uniqueness but also form a part of the whole ensemble. The modern interiors are juxtaposed with the Art Deco style building. refurb of existing victorian townhouse to bed and breakfast guesthouse, including a roof space loft appartment for owner. 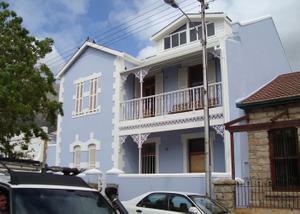 Six on scott guesthouse is a modern refurbishment of a heritage building located in the heart of old Cape Town. 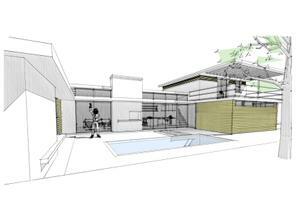 Converting what was a single residential dwelling into a 5 bedroom upmarket bed and breakfast. 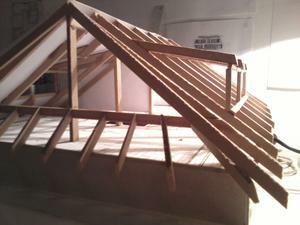 The unused roof space was converted to a 2 bedroom loft apartment for the owner. Renovation of heritage status Victorian era townhouse. The original house was built at the turn of the previous century awarding it heritage status, the existing street façade was therefore left unaltered. The internal spaces were reorganised to establish a physical and visual flow between communal spaces, both internal and external. Private spaces stem off from the social spaces, allowing a variety of uses. 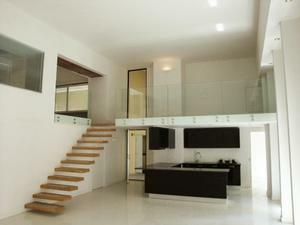 The house was designed to allow as much natural light in as possible, complimenting the spacious, high ceilinged rooms. The new house, carefully inserted into the existing shell provides privacy whilst offering views of Robben island, Lion’s head and Signal Hill. minimal budget and language barrier made this project a real adventure. 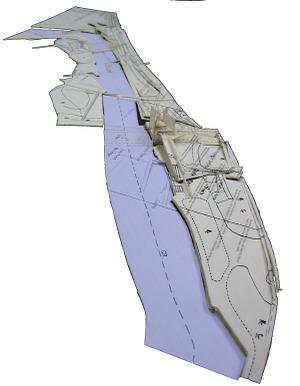 Architectural ideas competition entry for Trafalgar Park spatial/ urban planning.